Suzanne is an accomplished Executive Coach, Leadership Development Facilitator and HR Leader with 20 years of success partnering with all levels to lead strategic workplace initiatives and provide solutions that help organizations and individuals achieve results. In her role as a senior consultant at telos, Suzanne works with high-performing, high-achieving leaders to navigate challenging and complex environments, advance their careers, find more meaning and balance in work and life, and reach their highest leadership aspirations. She is also a skilled speaker and facilitator on leadership and career development and has presented to hundreds of business leaders at major US and Fortune 500 companies. Suzanne loves working with leaders who are ready to think big, dream big and go for what they really want in their career and life. She enjoys inspiring, influencing and empowering individuals to achieve significant results and make a difference in their own lives and those around them. Suzanne provides leadership and career coaching to business professionals in the pharmaceutical, professional services, insurance, consumer packaged goods and not-for-profit industries. She has coached leaders at Allstate, Abbott, Baxter, GE, Kraft, MasterCard, Pfizer, Union Pacific, YMCA and Walgreens, among others. 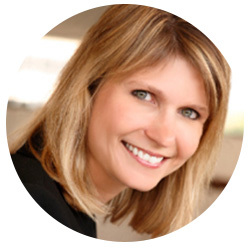 Suzanne has an MS in Positive Organization Development &amp; Change from Case Western Reserve University, a Bachelor’s in Organizational Behavior from Northwestern University, and is a graduate of the advanced coaching program at Coach University. She is also a Stakeholder Centered Coach (SCC) from the Marshall Goldsmith Company. Suzanne lives in a conservation community in the northern suburbs of Chicago with her husband Jim and two daughters Katie and Emma. In her free time she loves traveling around the world, reading, trying new restaurants, training for marathons and triathlons, paddle boarding and being outside as much as possible.